Features an array of wrestling legends! This awesome WWE Legends single duvet cover set is a must for any fans! 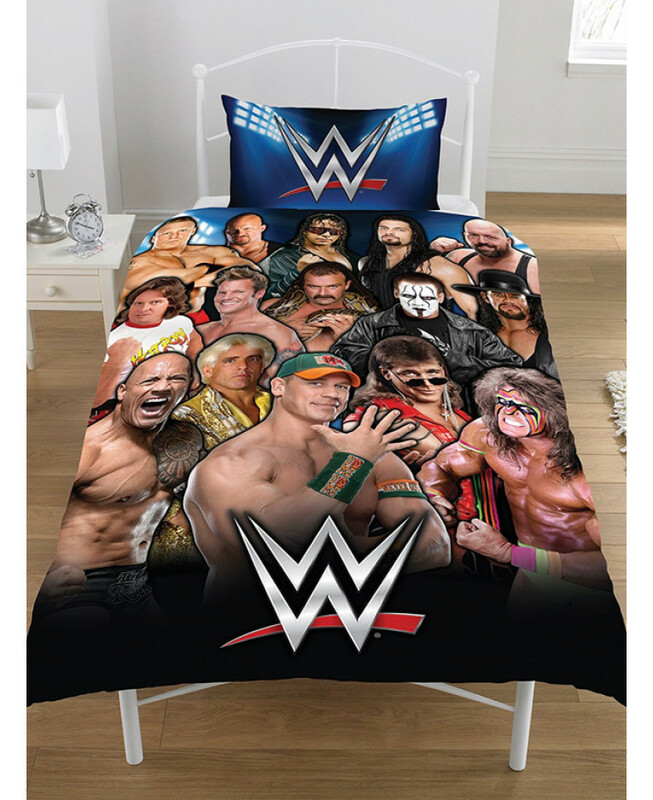 The duvet cover features famous WWE Wrestling stars from past and present such as John Cena, Rowdy Roddy Piper, The Rock and The Ultimate Warrior, with the WWE logo on the pillowcase. This set is made from a polycotton blend and can be machine washed and tumble dried on a low setting.